While it might be tempting to hit the vending machine when you've got a sweet tooth craving, our collection of tasty sweet snacks offers an arguably more interesting and alluring selection of goodies. Of course, if you chomp on sweet snacks too frequently, you may suffer the consequences in the form of an ever-expanding waistline - but a little bit of what you fancy will not do you any harm. Furthermore, making your own treats means you know exactly what goes into your food. 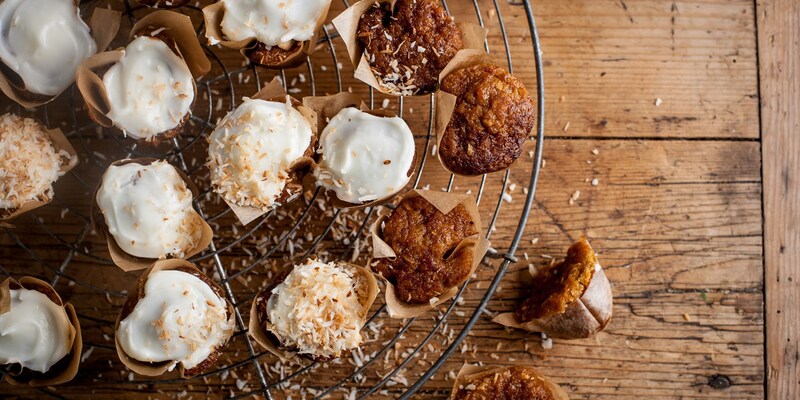 Make a batch of Shaun Rankin's apple muffins to satisfy your elevenses urges for the week, or try Geoffrey Smeddle's simple fudge recipe as an easy alternative to sweets. If you're looking for the ultimate temptation, Nathan Outlaw's chocolate, fudge and sea salt brownies - made with rich dark chocolate and laced with fudge pieces.